In picking the 53-year-old Brett Kavanaugh of the D.C. Circuit, Trump opted for a hard-to-defeat nominee whose Ivy League credentials are similar to those of Neil Gorsuch, the president's first Supreme Court nominee. Kavanaugh is a Washington-area native who has ruled to dial back federal agencies and broaden gun rights. 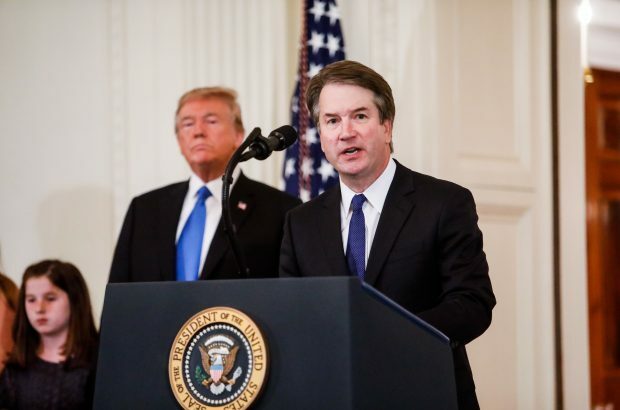 Judge Brett Kavanaugh, a stalwart conservative with deep Washington roots who has questioned the power of federal agencies and ruled in support of broader gun rights, was nominated Monday to replace retiring Justice Anthony Kennedy on the U.S. Supreme Court.